Clinical trials are a crucial element in medicine and health care to help develop drugs that will treat or possibly cure certain diseases. Researchers use clinical trials to test if a drug works, how well it works, how safe it is and how it compares to any currently available treatments. Before a drug can be tested on human patients, it is tested for years in labs. Clinical trials are among the final steps of the drug development process. When drugs are brought to clinical trials, pharmaceutical companies must find enough patients to participate in the research in order to get solid results. The rarer the condition, the more difficult it can be to find the number of patients needed for a trial. If you have been diagnosed with Sjögren’s and are thinking about participating in a clinical trial, there are several factors you should consider. You can learn about trials taking place in your area on the Sjögren’s Syndrome Foundation’s website by clicking here. When researching details of potential trials that might work for you, find out the risks and benefits of each trial, ask if there are any costs that you may be responsible for associated with participation, and most importantly, talk to your doctor about whether or not the trial is right for you. One specific consideration for participating in a Sjögren’s study is your diagnosis. In some cases, the diagnostic criteria in the study protocol may be different than the criteria your doctor used in your diagnosis. Clinical trials can help patients gain access to new drugs and expert medical care, while contributing to important medical research benefiting the larger community. However, patients should not enter a clinical trial without considering the risks and costs to themselves as well – the medication might not work, or might have unpleasant side effects; the time and travel to the study site, time for study visits and absences from work might be costly; and once the trial is complete, the treatment may still need to undergo months of approvals before you can have regular access to it. Additionally, as a patient in a clinical trial, you may receive a placebo drug or therapy instead of the new treatment being studied. Even if you are a patient receiving a placebo, you will still receive basic standard of care and medical oversight for your condition. 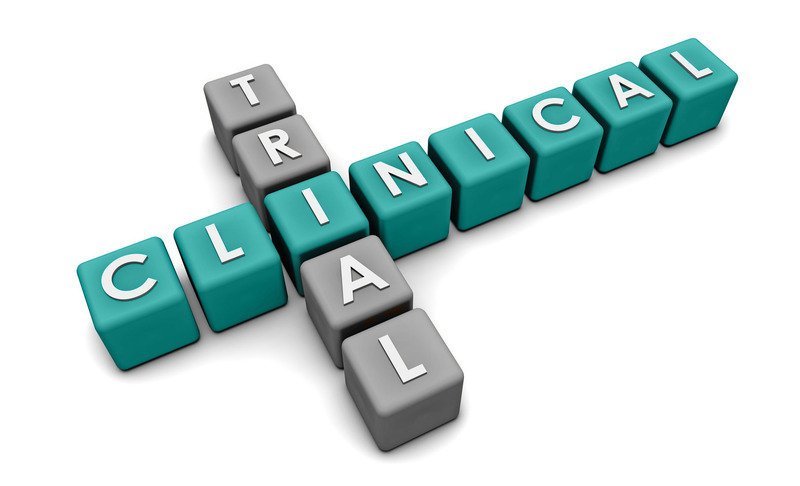 Clinical trials vary greatly depending on the type of study and the treatment being tested. Each trial is usually funded, or sponsored, by a pharmaceutical company, academic research center, or federal agencies such as the National Institutes of Health (NIH). Studies take place across the U.S. and even globally, at hospitals, physician offices, clinics and more – one study might have researchers conducting the trial in many different locations. Prior to enrolling, you should know how long the study is expected to last, where you will need to go and what you will need to do in order to participate, how your participation will be compensated for – or if you will be compensated for your participation and more. These questions can be answered during discussions with the doctor or staff running the study. If you are still interested in participating, the study staff will usually schedule a screening visit. The details of screening appointments varies from study to study, but all screening appointments are used to determine your eligibility for the trial. Depending on the therapy being studied, screening appointments might look to learn your medical history; run blood, urine or tissue samples; and learn what medications you are currently taking. Following the screening, the team running the study will contact you to let you know if you qualify for the trial or not. If you do qualify, you will be scheduled for your first study visit, which will help establish the baseline of your participation in the study. Again, the specifics will vary in each trial, but the doctor might run tests or draw labs, as well as give you the drug being studied and instructions for dosing and any reporting you may need to do. This first visit will also give you a chance to schedule future visits. Throughout the duration of the study, you will need to attend appointments at various intervals. Some studies require regular visits or even hospital stays, while others can be done less frequently. As a study progresses, you may need to be seen less frequently. At each visit, the doctor may re-run tests or labs to compare against the baseline. You also may be given more medication at each visit. When the study comes to an end, you will need to turn in any unused medication and reporting documents. The doctor will perform tests, labs or procedures similar to what was done during your screening or baseline appointments to see if the drug has made an impact on your health. The doctor may be able to tell you what treatment you received during the study once the study is complete. Once the clinical trial is completed, you will need to revert to your previous physician, if different, and treatment schedule. Deciding to join a clinical trial can be a difficult decision, but taking part can help researchers learn more about potential treatments for your condition. If you carefully consider the risks and rewards, and arm yourself with information before committing to a study, participating can be a very rewarding experience. There is a growing body of evidence that rich social support networks are important to overall health, immune function and healing. 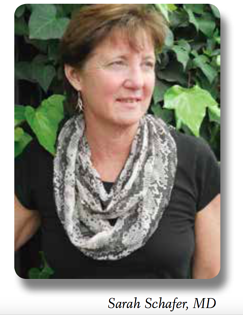 They improve quality of life and facilitate coping with chronic illness. Conversely, negative social interactions create a stress response that have the opposite effect. Support from family members and close friends can be one of the most important resources for you to draw on when dealing with Sjögren’s. Skillful communication about your illness is key to nourishing the relationships that matter the most to you. This article only attempts to skim the surface of this complex topic. Three characteristics of Sjögren’s create particular communication challenges. 1. Untimely: Sjögren’s is typically diagnosed in the prime of life (40s and 50s), when family responsibilities and careers are in full swing. While some are lucky enough to have mild symptoms, the majority of patients experience flu-like fatigue, pain and brain fog that demand a new, strict energy budget. Jobs may be lost or hours cut. 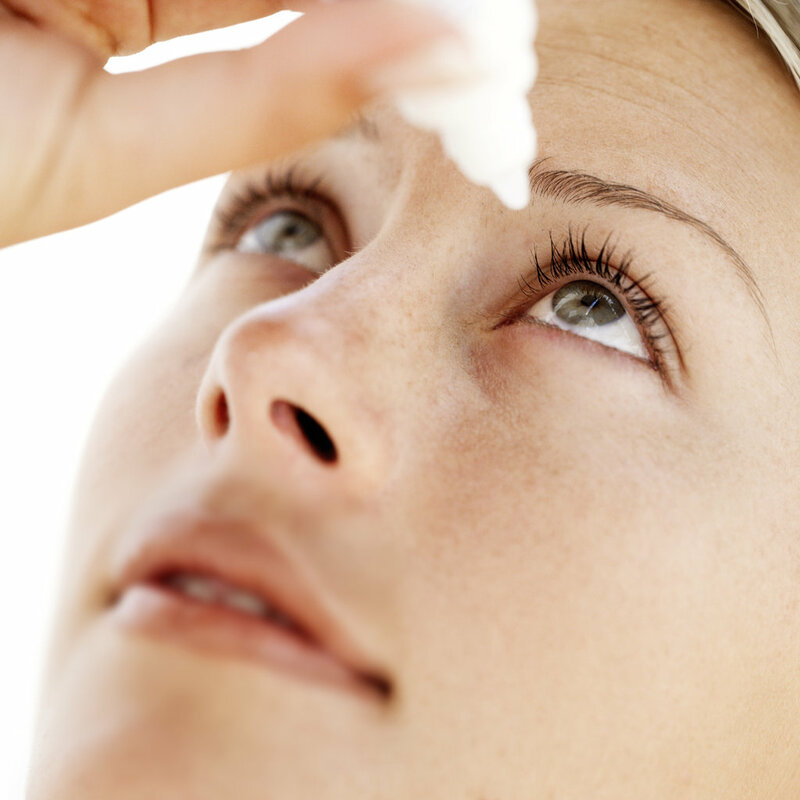 Frequent medical and dental visits and costly products such as artificial tears strain both schedules and finances. Family dynamics are rearranged by the illness, causing stress, especially if there is little support or strong disagreement about how to meet the new challenge. Single people who become ill may feel particularly vulnerable and alone, wondering how will they ever manage. 2. Uncertain: Early on, many patients have a hard time accepting that this disease will be a lifelong challenge. The sense of loss and fear of long term illness can be profound for both patients and loved ones. 3. Invisible: Sjögren’s patients tend to look well most of the time, even when feeling quite ill. The outward appearance of normalcy can make it hard for others to appreciate the severity of your illness. This is made worse when doctors don’t address symptoms such as fatigue and pain that make it a struggle to get through the day. Even though Sjögren’s is quite common, most doctors are not trained to recognize even typical systemic symptoms, and tend to focus on dryness. Some medical websites reinforce this incorrect notion that Sjögren’s is mostly about dryness, rather than a serious systemic disease. When presented with this inaccurate portrayal of the disease, family members and patients become understandably confused. Healthcare providers frequently minimize life-changing symptoms or even become dismissive, leaving the patient feeling powerless or invisible. When family members also fail to understand the devastating impact that Sjögren’s can have, the emotional turmoil can be overwhelming. As a result of widespread misinformation, patients find themselves needing to become “experts” in their disease. Backed with up-to-date knowledge, it is possible to advocate for care and educate health care providers when needed. An excellent, reliable source of information can be found at the Sjögren’s Syndrome Foundation (SSF) website, www.sjogrens.org. Be sure to read or reread the “About Sjögren’s” section, especially the FAQ. Encourage family members to read it too. It’s really good. It might seem overwhelming and a bit disheartening that you need to learn so much about Sjögren’s, especially early after diagnosis. However, educating yourself will provide essential tools for communication with family, friends and doctors. Spouses/partners and other family members suffer grief and loss too. It is important to acknowledge this. Open the discussion early. Ask about their fears regarding the impact of your illness and the uncertainly it creates. Be prepared to revisit this conversation several times. Both you and your significant others will go through loss and grief, although the timing and process is different for each individual. In spite of your best efforts toward clear, empathic communication with your family, some people may respond with judgment and blame. This often comes as a painful surprise, especially at a time when support feels most needed. Relationship upheaval is typical for people with serious illness. It is important not to blame yourself for the illness, but to develop good self-care with an attitude of deep kindness toward yourself. Attempt to keep lines of positive communication open, but set boundaries to protect yourself from negativity. While unsupportive family members may eventually shift their stance, the approach of trying to educate them repeatedly after several unsuccessful attempts will only result in unnecessary pain. Just having one or two people in your life who truly “get it” can be enough. Recognize that some people may be good at practical support, but unavailable emotionally. The reverse may also occur. Practical support, especially from family members, can go a long way in helping you manage your health. Most Sjögren’s patients can participate in a number of activities, especially when family members take over tasks that are particularly challenging for you to do. It takes some trial and error to learn what you can do without compromising your health. Being a good observer of your unique patterns will help you plan the types of activities and pacing that works for you. Even with careful planning, the unpredictable nature of Sjögren’s will sometimes knock you down when you don’t expect it. It is always good to have a backup plan ready- and soup in your freezer! Many people are happy to help, but might not ask or could assume you are doing ne if you have a partner or other adults in the home. It can be difficult to ask for help, especially if you are the “can do” type of person. It is good to remember that providing support can be beneficial to both givers and recipients. Sometimes support arrives from people you don’t expect to come through, while those you think of as close friends or family may not provide support. ♦ If you are unsure of a person’s awareness or interest, you can ask: “I’m not sure how much you know about Sjögren’s- do you want to know more about what’s really going on with me? It can be especially difficult when someone close to you clearly does not understand your illness or support your efforts to take care of yourself. Relationships that were difficult to begin with may become even more painful. Some relationships do not survive the stress of chronic illness. Family members have a limited capacity for emotional or practical support. If you don’t feel supported by those closest to you, being creative about organizing your life, getting support from others, and setting excellent boundaries may be your best strategy. If you are dealing with a close relationship that seems to be faltering, it can be helpful to seek professional support from someone knowledgeable about chronic disease. Most importantly, know that the news here is not all bad. Many people do step up to the plate, although they may need prompting. Be patient if they are trying to understand; it takes time to adjust and to learn about Sjögren’s. Vasculitis usually manifests with purplish skin lesions on the legs and sometimes the trunk. It is usually associated with high levels of gammaglobulin in the serum. The skin may become easily irritated and even break down in areas where numerous lesions develop. The skin around the ankles is most susceptible. Skin break-down and ulcerations may form. Although severe vasculitis from Sjögren’s may require hydroxychloroquine (Plaquenil), oral corticosteroids and immunosuppressive medications, milder forms can be managed with simple conservative measures. Skin breakdown occurs with greater frequency when there is fluid accumulation around the ankles so measures that minimize edema (excess fluid accumulation) in the legs can be helpful. Such measures include elevation of the legs and the use of support hose. When sitting, your legs should be propped up on a chair and not left dangling for too long. Support hose to control edema should be of the above-knee variety. Hose that bunch up below the knee may actually act like a tourniquet and impede blood flow in the legs making edema worse. Mild trauma to the skin of the legs can also favor skin ulceration so wearing pants may provide an extra layer of protection. Edema can also be controlled with diuretics. Some patients with vasculitis may benefit from low dose aspirin to keep the blood vessels open. Of course these conservative measures should also be applied in instances when immunosuppressive therapy is needed. Consult with your doctor if diuretic therapy or low dose aspirin is right for you. 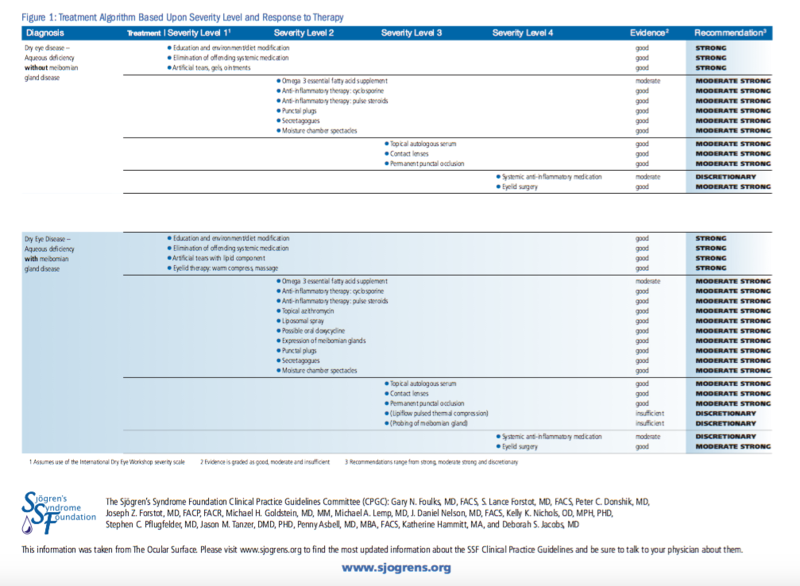 The Sjögren’s Syndrome Foundation (SSF) has developed the first-ever U.S. Clinical Practice Guidelines for Caries Prevention in Sjögren’s to ensure quality and consistency of care for the assessment and management of patients. 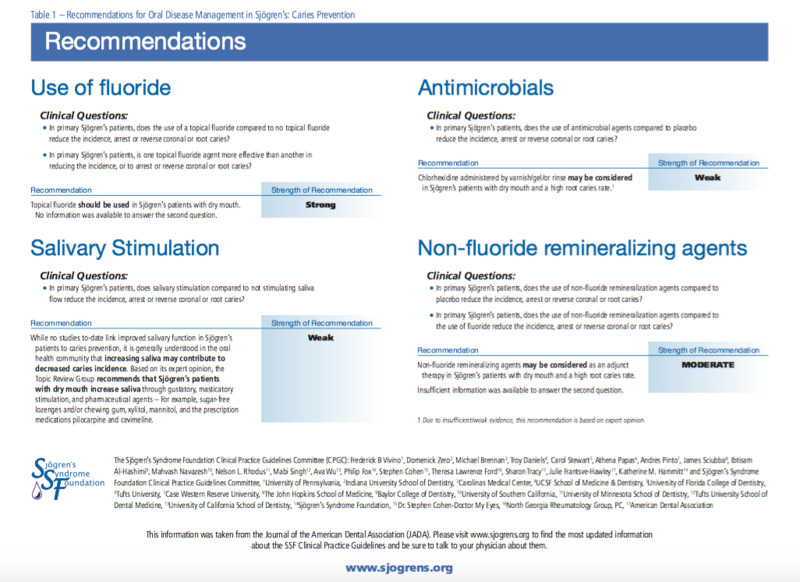 The SSF Clinical Practice Guidelines for Caries Prevention in Sjögren’s patients will help dentists, oral medicine specialists and Sjögren’s disease patients determine the best strategies for preventing caries due to dry mouth. The SSF Oral Working Group stresses that identification of potential Sjögren’s patients within the clinical practice is paramount for ensuring proper monitoring, timely treatment, prevention of serious complications, and referral to other specialists who can monitor and manage non-oral aspects of this disease. Six years ago, the SSF initiated the development of clinical guideline recommendations for medical practitioners in three categories: rheumatology, oral medicine/dentistry, and ocular management. These will help to standardize patient care by giving physicians a roadmap of how to treat and manage their Sjögren's patients. Click here to view the SSF Caries Prevention Guidelines Summary and Recommendations. The SSF Sjögren’s Clinical Practice Guidelines initiative is funded fully by the SSF with no corporate or pharmaceutical industry support. The SSF would like to thank our committee chairmen and members of the oral working group for volunteering their time and expertise to develop these guidelines. We would also like to thank all SSF members and our generous supporters for helping to make the dream of Sjögren’s Clinical Practice Guidelines start to become a reality! 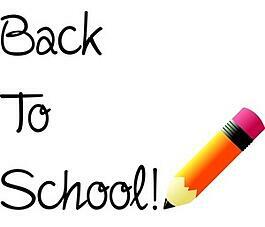 This fall, as students around the country begin to head back to school and get ready for a new year, the Sjögren’s Syndrome Foundation (SSF) is using this time to write about “back to basics” in terms of managing your Sjögren’s health. In this blog post, we have focused on the fundamentals that can often be forgotten in the busy day-to-day life. As most of you know, rheumatologists have the primary responsibility for managing Sjögren’s and usually are the lead of your “medical team.” That is why, when seeing a new physician or any of your many specialists, it is important to establish clear guidelines regarding your medical management, which means clarifying what things that doctor will be managing versus what your rheumatologists and/or primary care physician will oversee. All of these healthcare providers make up your “medical team.” However, it is crucial that your lead physician has all of the information regarding your diagnoses, treatment plans and prescriptions that your entire medical team is providing. This will help the lead physician better manage your case. It is important to find a doctor who is both a good partner in treating your disease, as well as a good listener. While we know this can be very difficult, it is needed to make sure you are getting the attention your disease requires. A Sjögren’s patient’s treatment path should be decided on a case-by-case basis after the potential benefits and side-effects are weighed by patients and their healthcare providers. Currently, a number of different medications are available that might be used to manage symptoms. However, at the present time there is no single medication that has been conclusively proven to slow the progression of Sjögren’s or cure the disease. Success in using disease-modifying agents to treat closely related disorders like systemic lupus and/or rheumatoid arthritis has led physicians to utilize some of these treatments in Sjögren’s as well. The two most popular choices at present include Plaquenil® (hydroxychloroquine)® (hydroxychloroquine) and intravenous rituximab. The decision to prescribe these specific medications is made on a case-by-case basis after careful consideration of potential risks and benefits. In addition, many patients also are prescribed corticosteroids as well as prescription products to treat their various symptoms including but not limited to dry eyes, dry mouth, gastrointestinal and joint pain symptoms. As the SSF continues to release Sjögren’s Clinical Practice Guidline Sheets, be sure to ask you physician about the recommend treatment options listed. The SSF is dedicated to research into studies that help us better understand the full benefit of these treatments as well as working with companies to help develop new therapeutics that can treat the disease as a whole. The SSF is excited about the current pipeline for treatments that are being investigated by companies, and we continue to be at the forefront at working with and encouraging these companies to move forward. You should be prepared for a new doctor’s appointment and know your specific objectives for that visit. 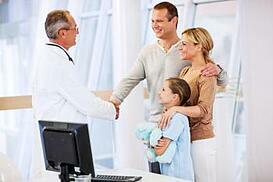 If this is your first visit to a doctor, it is essential to give them a copy of all your medical records. They will not have time to read it over there during your appointment, but they can keep it on file to review after your first visit. It is also key to show your physician that you want to be an active participant in your care. Make sure to tell them about all of your daily care. Bringing with you a typed list of medications with dosage (including over-the-counter products and supplements) can be helpful. In addition, keeping a symptoms journal or diet journal can be beneficial to recognize new or worsening symptoms along with foods that can trigger a are. Click here for the “Tracking Your Sjögren’s Symptoms” worksheet. And finally, if you have questions for that healthcare provider, bring a list and hand it to them to review. This will help expedite their answers and make sure you get as many answers as possible in one appointment. The healthcare provider can sometimes quickly review a list of questions and tell you which ones are most important to be concerned about and which questions he/she can address at another appointment. Not only will you leave with more answers but your healthcare provider will appreciate your organization. As a Sjögren’s patient, you face the challenge every day of coping with this debilitating disease. Though there are an estimated four million Americans living with Sjögren’s, being diagnosed with an invisible illness can be isolating, which is why it is important to find support and credible information. 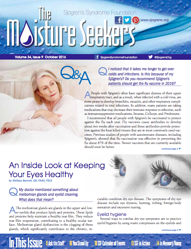 Signing up to receive The Moisture Seekers newsletter by becoming a member of the Foundation is your first step! Please share the articles in the newsletter that you find helpful with not only your physician, but family and friends to start a dialog about what you are going through. Attending the annual SSF National Patient Conference (NPC) that takes place each April. Listening to audio talks from past NPC Conferences. Click here to view a list of recent talks available that are to order. Find a friend with Sjögren’s by attending a local SSF event and/or support group meeting. Reading credible resources. Click here to view the SSF Bookstore. The gastrointestinal (GI) tract is an internal mucosal surface, rich in immune system cells/antibodies and nerves, whose main function is to digest food and absorb nutrients for optimal health. Enjoying food and sharing meals is an important part of every society, but for many with Sjögren’s, it is a major challenge. 90% of those with Sjögren’s and Scleroderma have GI complaints. Findings include focal infiltration of predominantly T-helper lymphocytes with or without glandular atrophy and nerve dysfunction. For persistent GI problems in those with Sjögren’s, a Neurogastroenterology or GI Motility Center may be an option. Eat smaller amounts more frequently. Chew as well as possible. Swallowing problems may be related to esophagus muscle inflammation (myositis), dryness, or nerve dysfunction. Soft foods, olive oil, and coconut water might help. GERD is more common and due to decreased Lower Esophageal Sphincter tone (60% vs 20% normal). Avoid reclining after a meal; various anti-acids are available. See tips for reflux in the SSF Patient Education Sheet, “Reflux and Your Throat,” found on the SSF website at www.sjogrens.org. Gastroparesis (delayed gastric emptying) occurs in Sjögren’s (30-70%), and, similar to Diabetes, causes upper abdominal pain/fullness/nausea. Gastric parietal cells can be destroyed leading to B12 deficiency. H pylori bacterial infection, if present, can be treated. Small intestine immune attack (Celiac) or bacterial overgrowth can result in abdominal pain, cramping, bloating. Try a wheat/gluten free diet, or other food group elimination diets. Most nutrients are absorbed here. MALT (mucosal associated lymphoma) can occur. The large intestine is where liquid is reabsorbed. Constipation and diarrhea can occur with Sjögren’s. Increase vegetables. Try magnesium supplement for constipation. The pancreas, which releases digestive enzymes, can have low-level inflammation (20-40%) in Sjögren’s. Pancreatic enzyme trial is an option. Liver – Autoimmune cholangitis (PBC, hallmark mitochondrial Ab) or Hepatitis (smooth muscle Ab) can occur in Sjögren’s. Hepatitis C virus should always be excluded. The SSF thanks Nancy Carteron, MD, FACR, Clinical Faculty University California San Francisco, with special thanks to Mimi Lin, MD, Center for Neurogastroenterology & Motility, California Pacific Medical Center, San Francisco, California, for authoring these tips from the SSF Patient Education Sheet, GI Tips. July is Dry Eye Awareness Month! The Sjögren’s Syndrome Foundation partners with various organizations during July to help educate the public about dry eye symptoms, treatment options, and the possible cause being Sjögren’s. We hope you enjoy our July blogs aimed to promote dry eye awareness and education. Q) I have heard a lot about some Sjögren’s patients finding relief from Serum Tears. What are they, how are they made and will it help me with my dry eye? A) Topical autologous serum used to treat ocular surface damage from dry eye disease is usually reserved for the most severe cases that have not responded to other treatments, particularly intensive lubricant and anti-inflammatory therapy. Autologous describes the fact that it is taken from the patient themselves; serum describes the component of the blood that is used to prepare the drop. It was first reported to improve dry eye symptoms and signs in 1984, but there are now a number of reports supporting its beneficial effect in Sjögren’s disease. Most often prepared as a 20% topical solution, autologous serum must be prepared by removing blood from the patient’s vein and spinning down the clotted cells to isolate the liquid serum which is then diluted in artificial tears solution into small vials. It is not specifically approved by the FDA. Autologous serum contains fibronectin, vitamin A, cytokines, and growth factors, as well as anti-inflammatory substances, such as interleukin receptor antagonists and inhibitors of matrix metalloproteinases. It is not clear which of these components is most helpful, but significant improvement in symptoms, tear break up time, and surface staining have been reported. The disadvantages of the use of autologous serum include the issue that it must be prepared by the eye care practitioner under well controlled conditions or by a compounding pharmacy, as well as the need to refrigerate the drops. There is a potential risk of infection if contamination of the solution occurs. The stability of frozen autologous serum has been verified for up to 3 months. Typically, the serum is applied topically four times daily, and this can be done in conjunction with other therapy including topical lubricants, topical cyclosporine, or oral tear stimulants. The serum does not work well with contact lens wear. This option may not work for every Sjögren’s patient and thus one will need to find an ophthalmologist or optometrist that is familiar with Serum Tears to accurately gauge the benefits.